It seems hard to believe we are celebrating our 28th birthday - for so much has changed since we took our first steps in the world, back in 1991. A beginning that saw us start our working life in a small back office in Bradford, with the simple aim of serving the needs of those affected by the first Iraq war. But nothing remains the same, and conflict, environmental crises, and man made disasters saw our humanitarian aid programmes grow in size and spread across continents. Today, we work in some 15 countries, from 5 regional UK offices, 8 overseas branches, and often team up with some of the largest NGOs in the world, including UNICEF and UNHCR. Our latest change is with our logo and brand identity – a visual identity that served us well in the past, but was in need of refreshing. So we’ve created a look that reflects our significant role in the humanitarian aid international theatres of operation. And it’s a look we’re really excited about. But don’t worry - in spite of these changes, our core values remain the same. 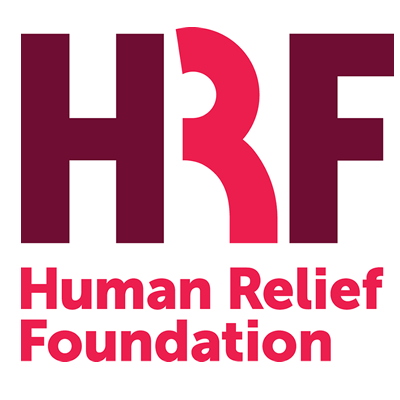 As a valued donor we wanted to personally share this news with you, and to ensure you knew that we are the same Human Relief Foundation you have always known, but with a more up-to-date appearance.